The American Accounting Association is the largest community of accountants in academia. Founded in 1916, it has a rich and reputable history built on leading-edge research and publications. The diversity of our membership creates a fertile environment for collaboration and innovation. Collectively, we shape the future of accounting through teaching, research and a powerful network, ensuring our position as thought leaders in accounting. The American Accounting Association provides members access to a broad selection of quality publications, including The Accounting Review, Accounting Horizons, and Issues in Accounting Education, through the AAA Digital Library, timely meeting announcements and calls for submissions through the AAA website, extensive career advice and one free resume posting per year through the Career Center, as well as networking opportunities and a broad spectrum of resources for teaching, research and practice via the AAACommons. Student membership in the American Accounting Association is available to all full-time students. Student dues start at an affordable $35 per year and include electronic subscriptions to all three Association-wide journals, The Accounting Review, Accounting Horizons and Issues in Accounting Education. Optional special interest section memberships are available for just $6 per section. Student members may attend national, section, and regional AAA meetings, often at discounted registration fees, and can purchase Association publications at discounted member prices. Susan Crosson joined the American Accounting Association in 2015 as its first Director for the Center for Advancing Accounting Education. In addition, she teaches in the Modular Executive MBA program at Emory University. 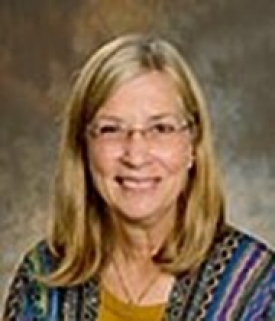 Prior to coming to the American Accounting Association, Susan served on the faculties of Emory University, Santa Fe College, University of Florida, Washington University in Saint Louis, University of Oklahoma, Johnson County Community College, and Kansas City Kansas Community College and worked in public accounting, banking, and higher education administration. Susan continues to be guided by her mission to create a learning process as individual as each student requires to master the course content and actively apply with confidence what's learned. She is pleased to be able to speak and write on the effective use of technology throughout the accounting curriculum. In addition to her over 300 YouTube videos, she has co-authored several accounting textbooks, served on The Pathways Commission, and has been active in many accounting organization activities. Susan earned her Master of Science in Accounting from Texas Tech University and her undergraduate degree in accounting and economics from Southern Methodist University. She is a CPA. In her AAA role, Susan is pleased to celebrate and support the efforts of accounting faculty everywhere.